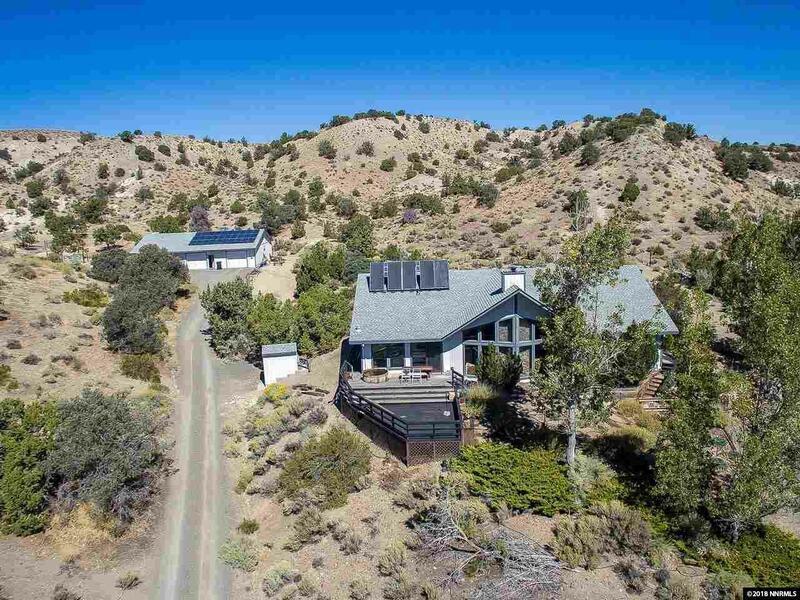 A rare opportunity to purchase a home designed, built and updated to be a perfect balance of spacious living, spectacular mountain views and energy management. Home plus 4 car garage/workshop with guest/in-law unit on 2.5 acres backing to BLM land. Featuring a highly insulated shell with Active and Passive Solar features - solar hot water and net-metered electrical generation, with backups of propane furnace, wood stove and power grid. Ask your realtor to send you the fully detailed description.